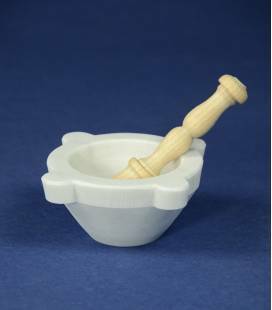 White marble mortar diameter 8 cm is a small and elegant item chosen by many aswedding favors or university degree, or it's used in the kitchen to prepare the vinaigrette, to pound smallamount of spices, garlic, salt, etc .. or even as an ashtray.The mortar is a Nuova Marmotecnica Italian handicraft product in pure white Carrara marble. 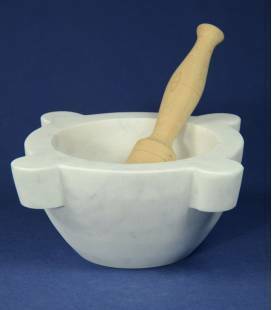 White marble mortar diameter 10 cm is a small and elegant item chosen by many aswedding favors or university degree, or it's used in the kitchen to prepare the vinaigrette, to pound smallamount of spices, garlic, salt, etc .. or even as an ashtray.The mortar is a Nuova Marmotecnica Italian handicraft product in pure white Carrara marble. 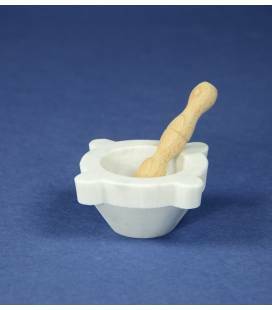 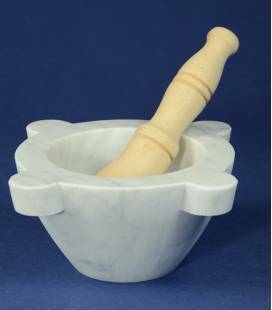 The marble mortar diameter 14 is a versatile item that can be adapted to many uses.It can also be employed to produce small amounts of pesto or sauces.The mortar is a Nuova Marmotecnica Italian handicraft product in pure white Carrara marble. 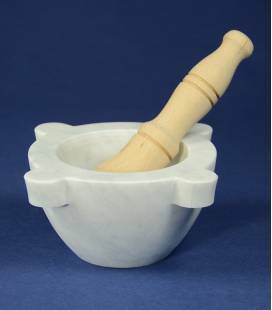 The marble mortar 18 cm diameter is a unique and elegant article, it is indicated to prepare the pesto and sauces, it can be exposed in your kitchen to embellish it.With this mortar will prepare the pesto genovese for 2/3 personDo not forget that it is Italian handicraft product in pure white Carrara marble. 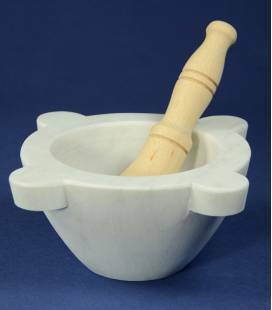 The marble mortar 20 cm diameter is a unique and elegant article, it is indicated to prepare the pesto and sauces, it can be exposed in your kitchen to embellish it.With this mortar will prepare the pesto genovese for 3/4 personDo not forget that it is Italian handicraft product in pure white Carrara marble. 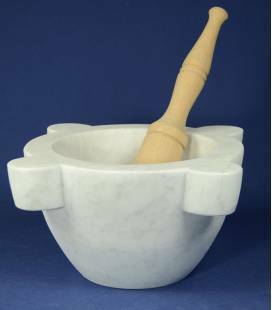 The marble mortar 24 cm diameter is a unique and elegant article, it is indicated to prepare the pesto and sauces, it can be exposed in your kitchen to embellish it.With this mortar will prepare a big quantity of pesto genovese.Do not forget that it is Italian handicraft product in pure white Carrara marble. 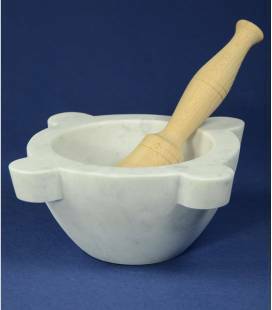 The marble mortar 30 cm diameter is a unique and elegant article, for real fans. 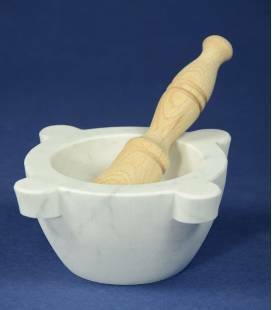 Do not forget that it is Italian handicraft product in pure white Carrara marble.